Those living in South Florida are absolutely dependent on their trusted HVAC units for their comfort, as well as keeping the humidity down in their homes. 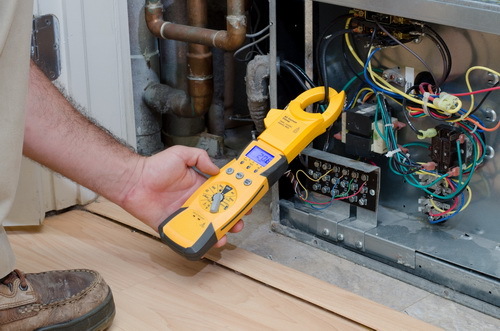 Many people simply cannot afford to get on the phone and enlist the services of an air conditioning repair company as soon as their AC stops working effectively. Most people live paycheck to paycheck, so it’s out of the question. Oftentimes, the homeowner realizes that the air handler has frozen, with full blown ice formed on the unit’s coils. The typical person looks at this as they would a freezer in need of defrosting. They will shut off the HVAC unit and let it thaw out. What they don’t realize is that the water doesn’t always pool in areas visible to them. Water will thaw behind the handler as well. It’s impossible to see and soak up with towels. 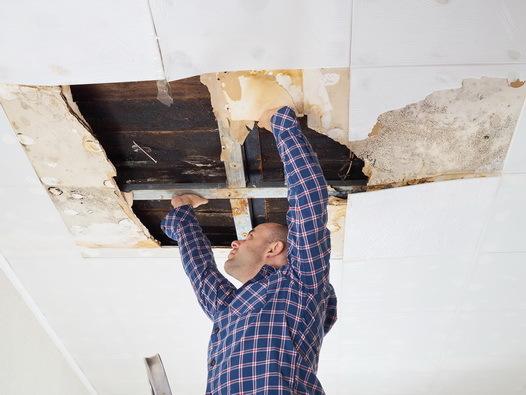 Of course, any carpeting, wood flooring, or laminate flooring will be damaged by the water, but the unseen water behind the unit will be soaked up by the drywall. This will result in mold growth and the spread of mold spores throughout your home. The insurance company will fight tooth and nail to avoid paying the claim. Our expert, an experienced public adjuster will be your champion and fight the insurance company for you. While most HVAC units in South Florida are on the main level, there are some that are installed inside of the attic to maximize the living space within the home. In smaller homes it makes perfect sense however; in the event of a leak, it takes a fair amount of time for the property owner to realize that there is a problem. Usually, this is when there is a wet spot or dripping from the ceiling. 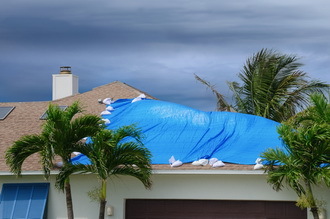 This leak can create major problems for the home structurally. The rafters and beams can be compromised and infected with mold. The insulation will probably be saturated with water and of course, the ceiling drywall will be destroyed. The insurance company will do anything they can to skirt the issues to avoid making a payout. The Best Public Adjuster will fight to get you the highest settlement possible. When a home or commercial property sustains water damage from an AC unit, all of the damage is not going to show up immediately. There are plenty of underlying issues that won’t rear their ugly heads until weeks or months after the water damage has been noticed. Insurance companies will want to settle quickly and cheaply. They will also want you to sign a release that will absolve them from further liability on the claim. It’s best to have a professional in your corner. Our public adjuster expert provides professional claims assistance to homeowners and commercial property owners struggling to get fair settlements from their insurance companies. The Best Public Adjuster is a trusted, private adjuster working on behalf of his clients to obtain a fair and equitable settlement for his clients. Whether you’ve started a recent claim, been shorted by the insurance company, or your claim has been denied, you need the help of a dedicated professional. Call 305-684-6845 to consult with The Best Public Adjuster of Stellar Public Adjusting Services about your AC unit claim.